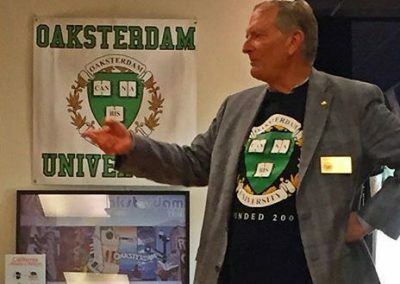 Oaksterdam University is a hub for cannabis activism. 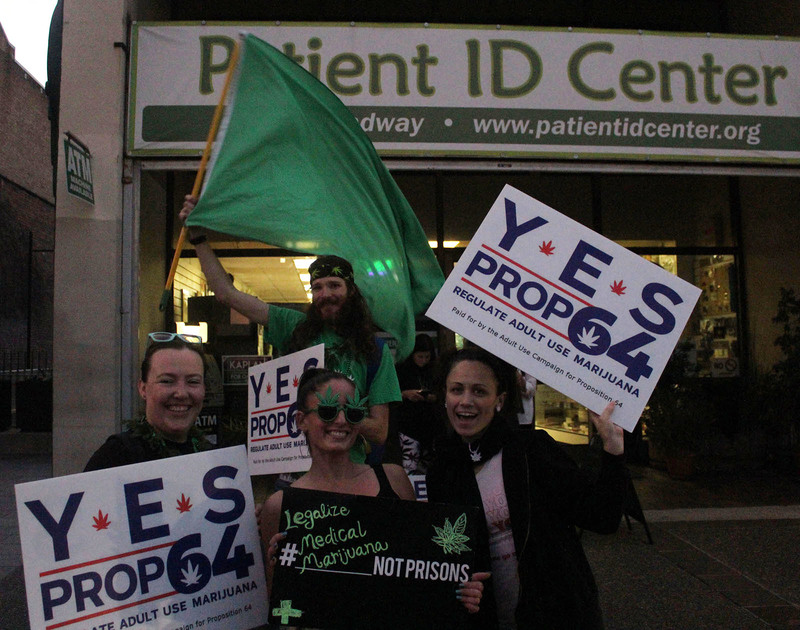 Many of our staff and instructors are pioneers in the cannabis activist community. 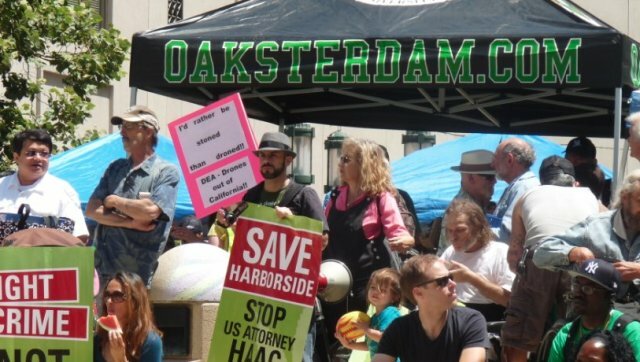 We, along with other cannabis businesses in our local Oakland area, play a vital role in revitalizing our neighborhood and serving the community. 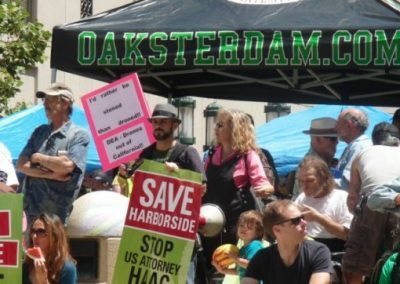 Oaksterdam University has a long history of activism, going back over twenty years, stretching from the first medical cannabis laws in California all the way to Washington DC, where our forefathers fought it out in the first US Supreme Court Case to allow medicine to necessity patients. 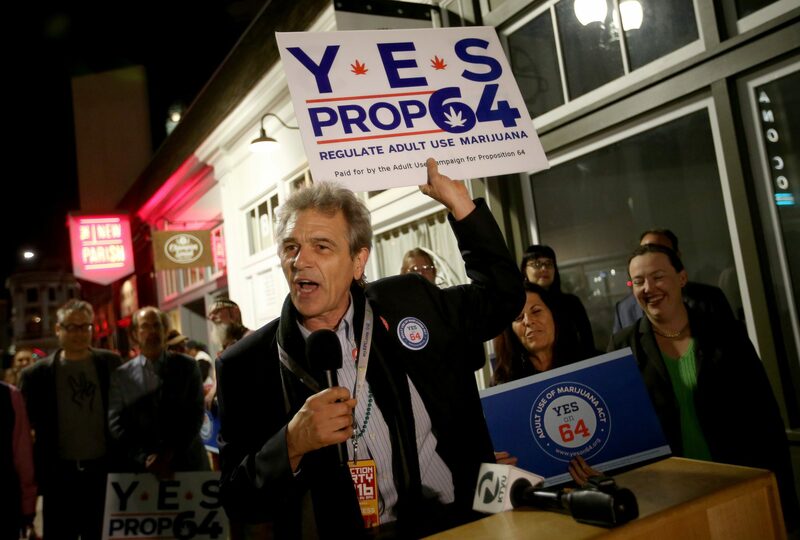 We initiated and fully sponsored the first statewide legalization campaign in over thirty years against all odds, which began the wave of successful legalization efforts in Colorado, Washington, Oregon, Alaska, California, Maine, Massachusetts, Nevada, D.C.and beyond. 28 states now have some type of medical marijuana protections. As the legalization of cannabis, medical and adult-use, continues to gain cultural and voter acceptance, OU continues to apply its network of top-flight experts for a better-informed public, private sector and government. Click here to learn more about our affiliate program! Our vision has always been with what our students and alumni will accomplish after leaving OU. Our success is measured by our students, and we are a sum of their achievements. We are regularly impressed and amazed by what our alumni accomplish in their localities, their professional and personal lives. 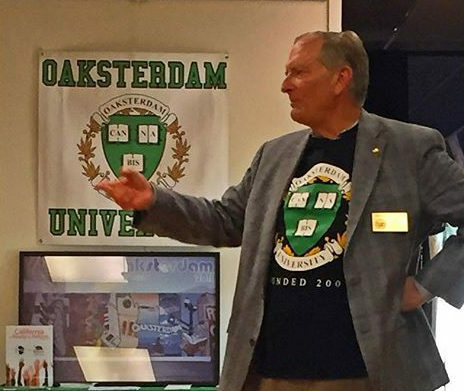 You don’t have to have graduated Oaksterdam to make a difference. 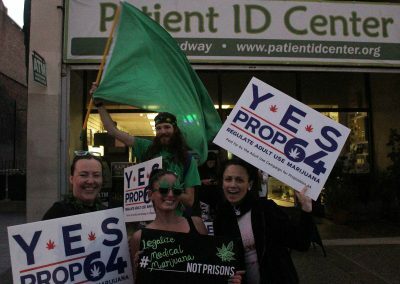 You can help enact cannabis policies based in science and compassion, with a focus on social justice and civil rights. Below are some suggestions for advocacy you can do right now, and it only takes a couple of minutes to make a quick phone call or email to your elected official! Normally, the phone is answered by a staffer who will take your message for the elected official, who then receives a summary of constituent concerns. You simply need to state your name, that you are a resident in their district, and how you would like them to vote on a specific issue. Most calls are short, taking less than a minute, so don’t stress out! Locate the contact information for your Congressional & Senate Representative. You can also use the Facebook tool, TownHall, to locate, follow, and contact your elected officials through your social media account. Call, send emails, write letters, or request a meeting to discuss the issues below. Use any of the pre-written letters found in the link. Remove Cannabis from Schedule I of the Controlled Substances Act (CSA). Cannabis needs to be rescheduled or removed completely (preferred) in order to facilitate research, ensure patient access and permit its legal regulation. Support the bill to Reschedule Cannabis under the CSA (HR 715) Use the pre-written letter to urge your member of Congress to support the removal or rescheduling of Cannabis from the CSA and the exclude CBD from the Federal definition of Cannabis. Section 280E of the Internal Revenue Code forbids businesses from deducting otherwise ordinary business expenses from gross income associated with the “trafficking” of Schedule I or II substances, as defined by the Controlled Substances Act. The IRS has subsequently applied Section 280E to state-legal cannabis businesses, since cannabis is still a Schedule I substance. To learn more about Section 280E, go here. Support Legislation Pending To Cease Penalizing State-Complaint Marijuana Businesses Under the Federal Tax Code. Use the pre-written letter to urge your member of Congress to support SB 777 and HB 1810, to amend the federal tax code so that state-licensed, marijuana-related businesses are no longer unduly penalized by federal laws. Cannabis is still illegal according to the federal government. Many banks feel they must restrict or deny services offered to marijuana based businesses. Support The Secure and Fair Enforcement Banking Act (SAFE Banking Act) Use the pre-written letter to urge your member of Congress to support the SAFE Banking Act. For a comprehensive list of all State and Federal Legislation pertaining to Cannabis and the Cannabis Industry, visit NORML’s Action Center. Don’t forget, the Constitution of the United States protects individual freedom and places the government’s power in the hands of the citizens. The Constitution established America’s national government and fundamental laws and guarantees certain basic rights for its citizens.